I won’t lie, I am very excited that fall has arrived and I’m sure that this does not come as a surprise to any of you. 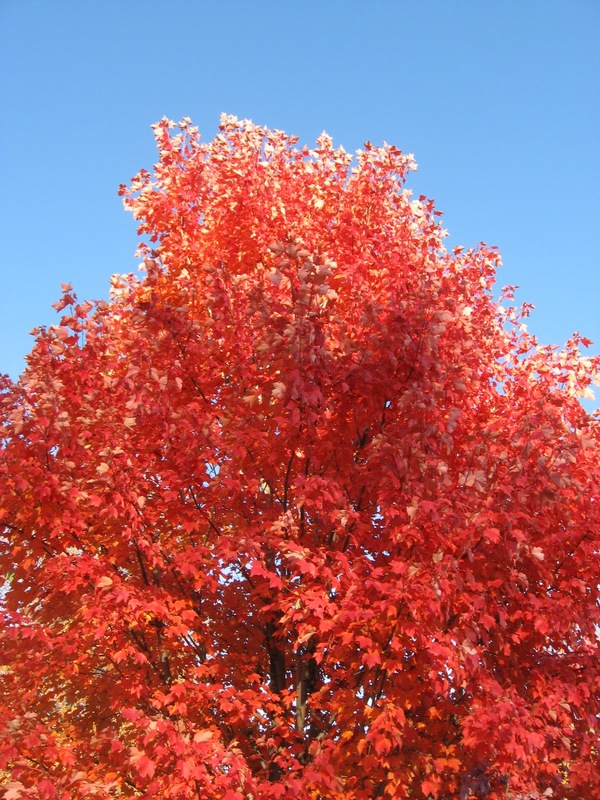 Instead of re-hashing the difficulty of the summer, it seems more appropriate to look ahead to the colors of the leaves as they change and the cooler temperatures. I have included some pictures from previous falls to remind you of how special a place Elcona CC can be during this time of year. 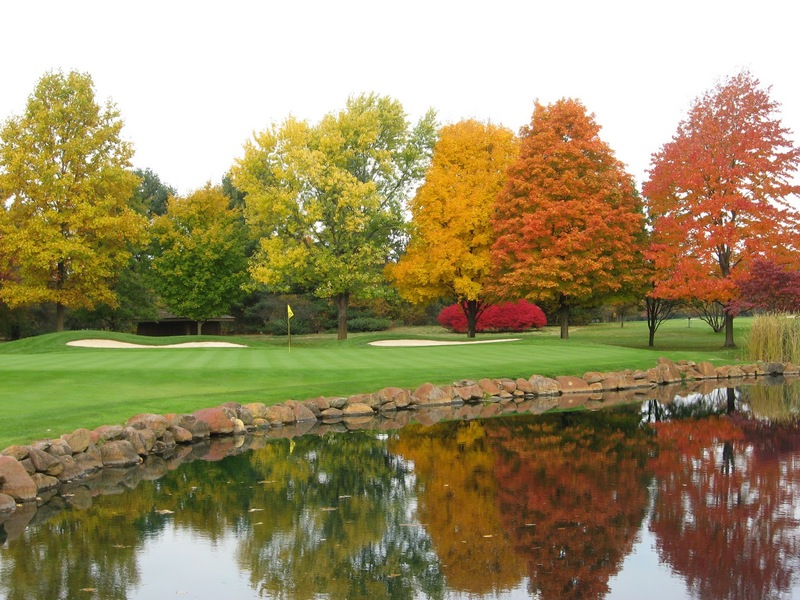 This is a great time of year and just may be my favorite season for playing golf. Although I never seem to get out and play very often, I still enjoy my time on the course whether it is during my morning tours with Mulligan or on the rare occurrence when I get to spend time on a mower. The cooler mornings mean that frost delays are getting closer. I have given the reasons for frost delays numerous times so I will not bore you with the details, just remember that I do not like them either and we will do everything we can to get you out on the golf course as quickly as we can once the frost is gone and our mowing has commenced. To date, aerification has gone extremely well. The fairways were completed in two days, thanks to new equipment and some fantastic weather. Tees will be done as the weather allows and greens are scheduled for 10/6, 7. While greens are being aerified, 9 holes will be closed and 9 holes will remain open and playable. For many of you, this is your last month in Indiana before you head to your winter homes. If you head to a different location during the winter, have safe travels and I look forward to seeing you next year. For those of you that are permanent residents, come on out and enjoy some fantastic golf. 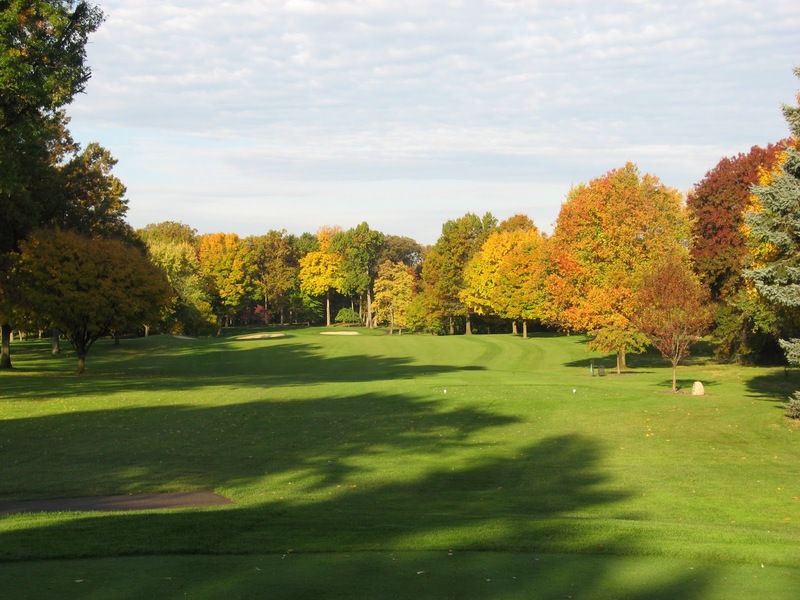 The golf course is in great shape and there are lots of days left before the snow starts flying! I Know the Benefits, Do You? It is that magical time of year when the most common phrase heard around the club is: “Just when the golf course looks great again, you are going to destroy it”. The short response to that is Yes, yes we are, but only with the goal of creating healthier turf, and the “destruction” will be short-lived. It’s aerification time! After an extremely difficult summer, I can think of no better way to help finalize our recovery than by aerifying all major in-play areas. 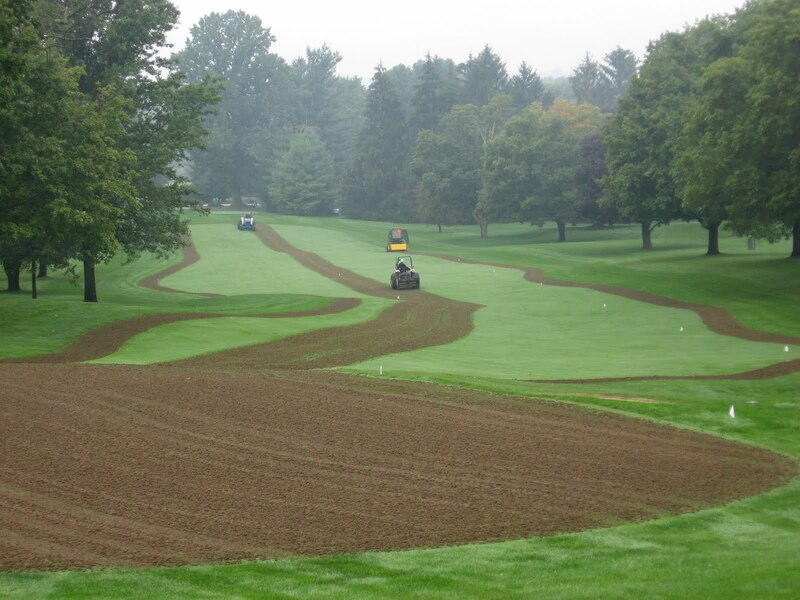 Many of you probably understand the basics of aerification, but do you truly understand the long term benefits and why there is the need to perform this task multiple times each year? growing in an aerification hole. ﻿﻿﻿﻿Everyones first reaction to the benefits of aerification is that it reduces compaction. While this is true, it most likely is not the most importanat benefit, especially on greens. 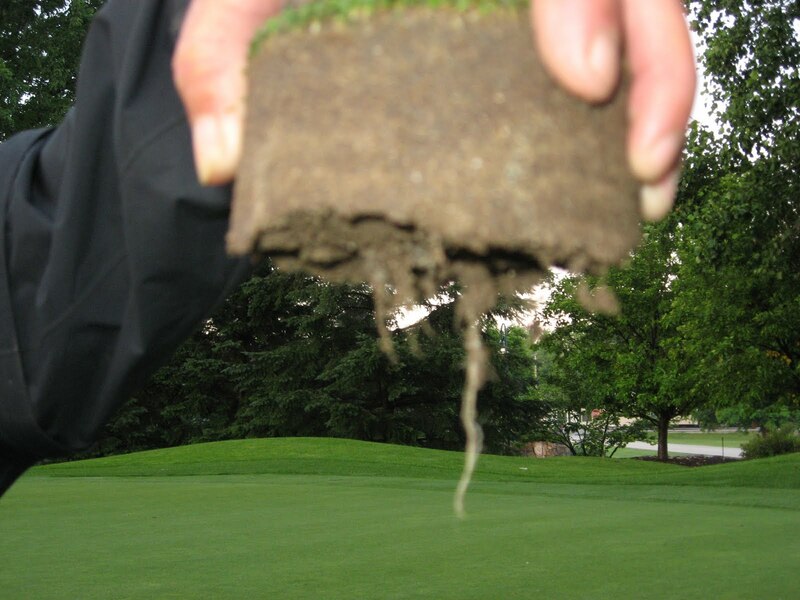 Creating openings in the soil profile, regardless of whether it is a green, tee, fairway etc. is the primary goal of aerification. As the name implies, it creates an opening in the soil that will allow for more air (oxygen) to penetrate the soil leading to enhanced root and plant growth. The holes also lead to an increase in water infiltration. Another benefit of aerification is the removal of organic matter and thatch. All of our playable areas have very manageable levels of thatch due to our commitment of regular and timely aerification. Do not take this as a sign that we can become relaxed in our approach. If we allow our thatch to begin increasing again, we will be creating a more favorable environment for disease, which, as we saw this summer, we don’t need any more of. Thatch is also capable of holding many times its weight in water. What does this mean? Softer and wetter conditions. Nobody, including me, wants this. give us ample time to make sure the process isn’t rushed. After summers like the one we had this year, I can’t imagine what we would have been faced with if we didn’t have the commitment to the cultural practices that we do. Beginning with spring aerification to the venting of the greens on a regular basis throughout the summer months to the fall aerification that we are now preparing for. All of these go hand-in-hand and allow my staff and I to provide you with the conditioning that you have come to expect. As witnessed this season, our program does not always guarantee perfect, disease free conditions all of the time, but it does help set us up for success even during a difficult stretch of weather. I know that this process is typically not well received and that the timing never seems right, but we must complete this process while the weather is good and while the turf has enough time to recover before the long winter sets in. Since we have purchased two new aerifiers, we can now, with the help of good weather, have all 26 acres of fairways aerified and cleaned-up within three days (last year we were done in two days). Historically, this has been a week long process or more. Remember, the long-term benefits drastically outweight the short-term inconvenience. If you want an easier way to stay connected to this blog, please enter your email address in the “Follow by E-mail” section on the right side of the main page and a notification will be e-mailed to you whenever I make a new post. Stay tuned for more updates and get out and enjoy your golf course!